We meet on Sundays to partake of the Lord’s Supper and to worship God through singing, prayer, Bible study, and giving. We support each other on the journey of maturing in the Word, developing a relationship with Jesus, and glorifying God through our lives. Our Sunday service is our main gathering time. We gather at 10 a.m. as a congregation to worship God together. Contact our senior minister for more information about our church and ministries: duncan@kibogroup.org. 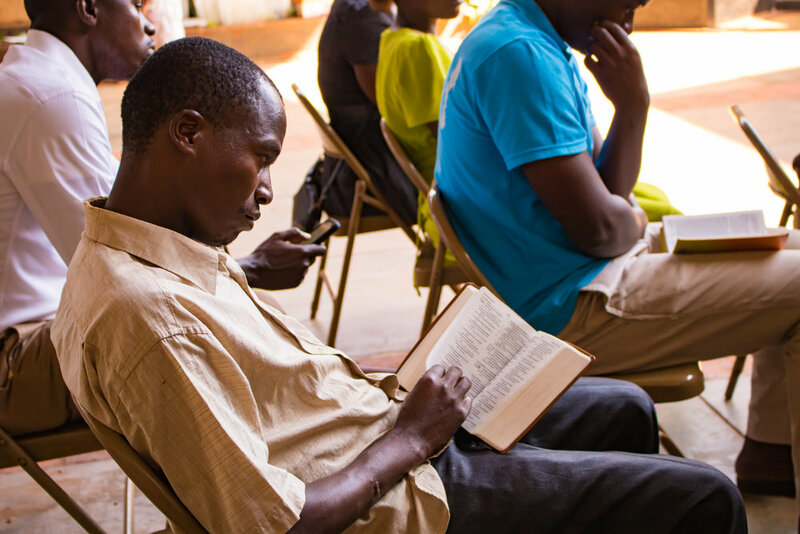 Our men’s ministry meet regularly for devotionals, Bible study, fellowship, and to share the gospel with friends, neighbors, and each other. Our women’s ministry meets every Thursday and Saturday from 4-6 p.m. to study the Bible and to sew clothes, which are sold to support local women. Our youth ministry plays football (soccer) games every Sunday from 4-6 p.m. and worships God together at youth conferences and the annual camping ministry trip. Our children’s ministry meets during the Sunday morning worship service, starting at about 10:30 a.m., and tends to kids ages 2-12. Our church ministries reach out to the community regularly to serve and share God’s love with our neighbors. Door to door evangelism, Gospel Campaigns(Tent meetings and open air preaching in trading centers using Gospel Chariot Missions tools), Giving out of gifts of clothes to the needy, Equipping Church leaders in Busoga Bible School to help them become effective servants of God. 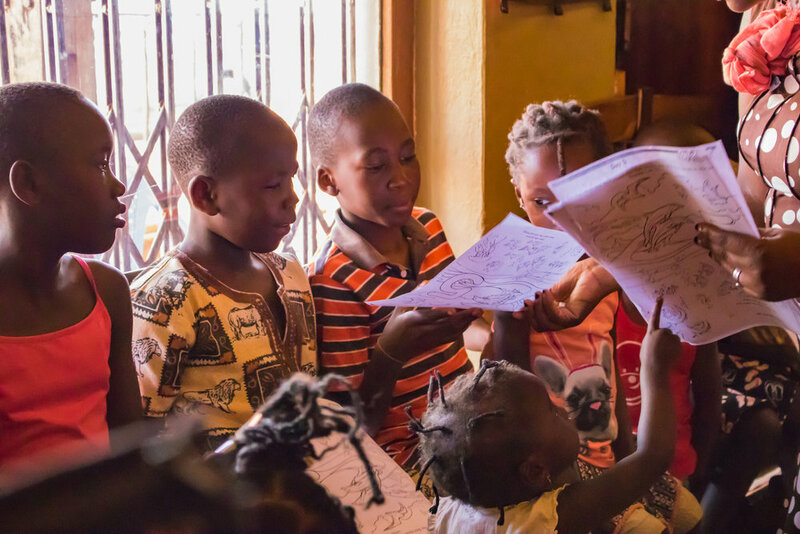 We support several partners, including Busoga Bible School and Kibo Group International. We believe these truths to be matters of first importance: There is one God – Father, Son, and Holy Spirit; three spiritual beings united as one in divine love throughout eternity (Romans 8:1-17; Ephesians 1:3-14). A few of the texts that inform our practices are John 4:24; Acts 2:42, 14:23, 20:7; 1 Corinthians 11:24, 16:2; Ephesians 4:11-13; 1 Peter 5:1-3. We are an autonomous church under the spiritual oversight of elders. Through the Holy Spirit, God inspired the writing of the Bible, which is the final authority in life and doctrine, and is useful for teaching, rebuking, correcting, and training in righteousness (1 Thessalonians 1:4-5; 2 Timothy 3:14-17). We strive to obey God and follow Jesus’ teachings, according to Scripture. We believe one of the core teachings of the Bible is, “God is love.” Jesus taught that the first and greatest commandment is to love God with all your heart, soul, and mind, and that the second is to love your neighbor as yourself. Jesus demonstrated God’s love for humanity through the sacrifice on the cross and the resurrection. We show our love for God through obedience to these two great commandments. We love because God first loved us (Matthew 22:37-39; John 3:16; Hebrews 4:12; 1 John 4:8, 16, 19). Salvation is a free gift from God through grace given to those who place their faith in Jesus Christ as Lord, repent of their sins, and are baptized in Jesus’ name. Through grace God invites us to join the body of Christ, the church, and receive the gift of the Holy Spirit (Acts 2:38, 47; 9:31; 15:11; Romans 10:9; Galatians 3:26-27; Ephesians 5:23; Colossians 1:24; Revelation 22:17).